Journey from London to Venice and enjoy superb cuisine, fine dining, and the vintage atmosphere on this classic train journey. 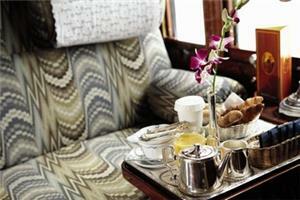 Your day begins traveling onboard its sister train in London, the Belmond British Pullman, to Folkestone. From there you will be escorted by guides across the English Channel to Calais to join the Venice Simplon-Orient-Express. The train travels overnight to Venice through the landscapes of France, Switzerland, Austria, and finally, Italy. You will arrive in Venice during the next day around late afternoon. 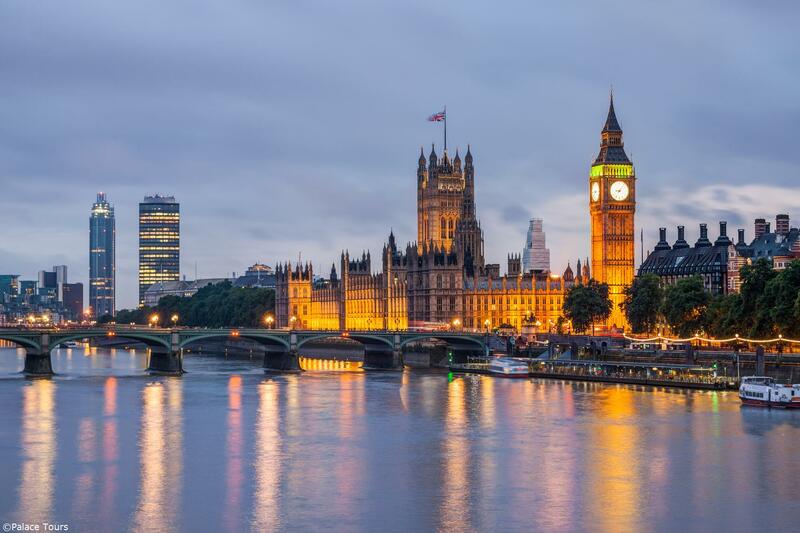 Board your Pullman train (with reserved seating) in London's Victoria Station and have brunch as you pass through the English countryside and cross the English Channel. 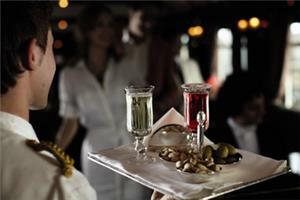 You will get a taste of your final destination with a Bellini served with brunch- a cocktail that originated in Venice. Once in France, board the Venice Simplon-Orient-Express where you will enjoy a four course dinner prepared by French chefs. Return to your cabin which has now been transformed into a bedroom for the night. In the evening, your train will stop at the Gare de l'Est station in Paris for forty minutes. Day 2 - Arrive in the "Floating City"
Awake on your train and enjoy the beautiful scenery outside your window. A continental breakfast will be served in your cabin at your convenience as your train passes mountains and countryside on its journey towards Venice. 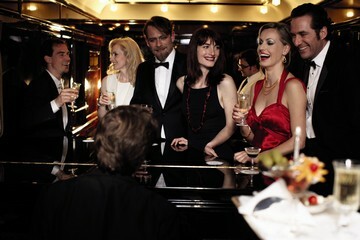 Relax in your cabin or the Bar Car, mingling with other passengers or listening to music by the train's pianist, and enjoy a three-course lunch in one of the three restaurant cars. 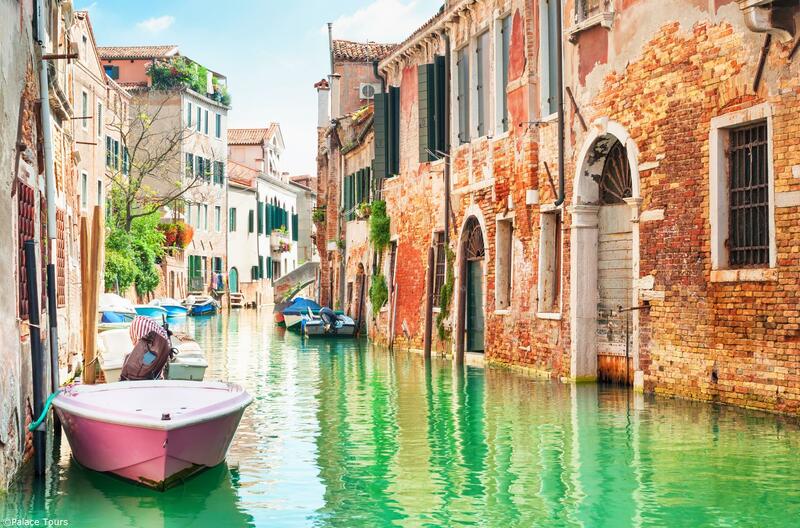 Afternoon tea will be served in your cabin before the train pulls into Santa Lucia Station, where you disembark in Venice- the "Floating City." 6How many passengers does the train accommodate? 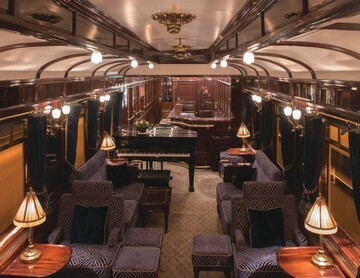 The current art-deco design of the Venice Simplon-Orient-Express carriages originated during the golden age of rail travel, the roaring 1920’s. As such, travelers will appreciate art-deco style as they are stepped into this elegant environment, where rich inheritances from the past meet modern luxury. 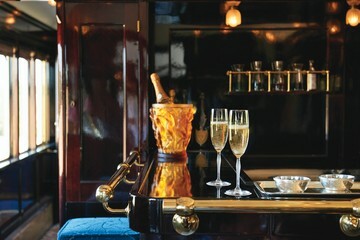 There is a timeless allure and romantic quality present throughout the Venice Simplon-Orient-Express. The train contains three distinct restaurant carriages originally built in the 1920’s: Côte d’Azur, Etoile du Nord, and L'Oriental, each of which has been beautifully restored and decorated. 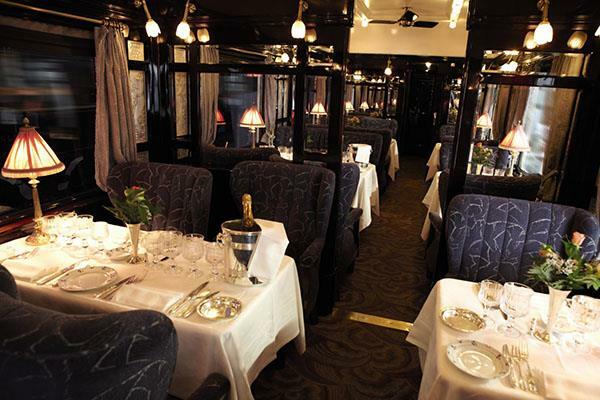 In any of these carriages, guests can expect a unique dining experience on par with Europe’s top restaurants through terrific ambiance, service, and fresh ingredients picked up at stops along the journey. The Executive Chef Christian Bodiguel, has been preparing the finest French and European cuisines for over 30 years on board the Venice Simplon-Orient-Express. To accompany Bodiguel’s culinary creations, the train stocks fine wines and other a la carte options at an additional charge. You can never be overdressed on the Venice Simplon-Orient-Express. For dinner, we ask that men to wear a suit and tie and women dress in smart attire, but many guests like to don black tie or evening dress for the occasion. During the day the dress code is smart-casual. 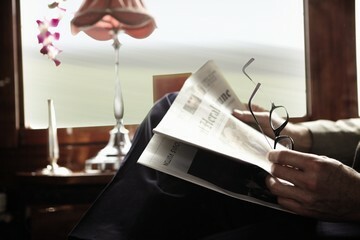 At lunch, for example, a jacket and tie is suitable for men. Jeans and sneakers are not recommended. For the excursions dress may be casual, but suited to weather conditions. 22How will I cross the English Channel? 23Where in France do you board the Venice Simplon-Orient-Express after crossing the English Channel? After crossing the English Channel by coach, you will board the Venice Simplon-Orient-Express in Calais Ville, France. 24Is seating reserved on the British Pullman? If so, when does reservation occur? Yes. Passengers will travel on the British Pullman when traveling between the English Channel and London. Seating reservations are made along with the overall booking of a Venice Simplon-Orient-Express journey. 25What type of staff assistance is available?